Even if you can’t travel to Seattle, you can still join the Annual Meeting virtually! In addition to viewing the presentations and streaming audio and video, you can submit questions to speakers and chat with fellow virtual attendees. the Virtual Meeting experience is like. This is a "live" webcast. CME credit will be claimed based on particpation in the live webcast. 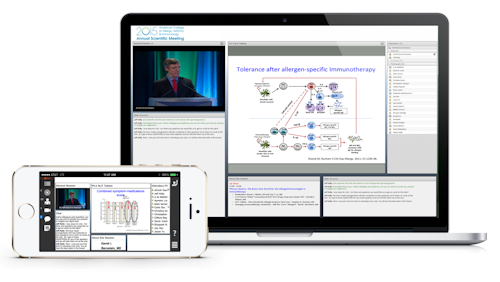 The American College of Allergy, Asthma & Immunology (ACAAI) designates this live activity for a maximum of 12.0 AMA PRA Category 1 Credit(s)TM. Physicians should claim only the credit commensurate with the extent of their participation in the activity.